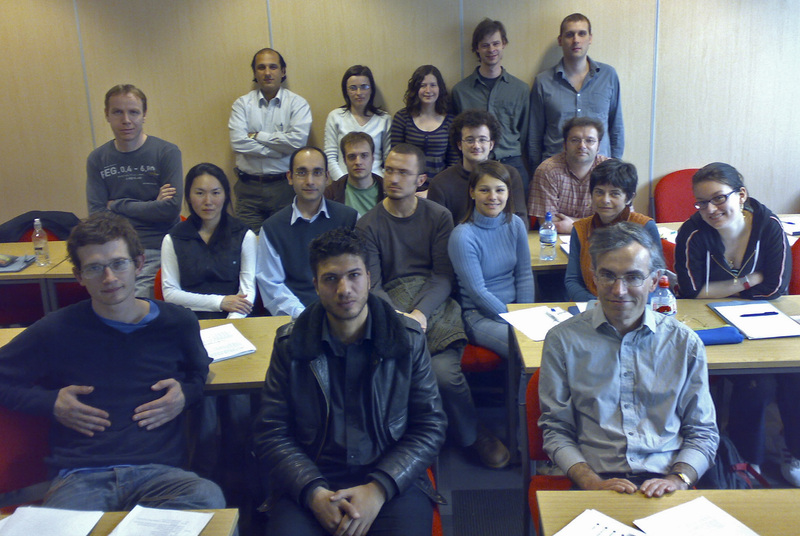 The final UK Dynamical Systems Graduate School of 2007-08 will be held in the School of Mathematics, University of Leeds, 7-11th April 2008. This school is intended for PhD students interested in Nonlinear Dynamics, Bifurcation Theory, Pattern Formation, and other applications where nonlinearity and/or symmetry is an important feature. The courses are directed at Nonlinear Dynamics graduate students of all levels, and have no non-standard prerequesites. Prior knowledge is not required, but there should be something interesting in the courses even for those students who already have a good background in the field. Research students and post-docs are warmly encouraged to attend. A list of participants and School photo is available. The last day of the meeting (Friday 11th April) will be a PANDA workshop on Coupled Cell and Network Dynamics, which will include pedagogical lectures on this topic by Mikhail Ivanchenko and Jonathan Dawes. The meeting will begin in the early afternoon of 7th April, and will finish around 4:30 on Friday 11th April, after the PANDA meeting. If you would like to come to the School, please do let me know by the 14th March. Participants are expected to arrange their own accommodation. More details and suggestions of hotels and guesthouses can be found here. There are no specific funds available for the UKDS Graduate School, and there are currently no funds available to pay for other participants' local expenses and travel costs. Participating students should ask their institutions to cover these costs. The UKDSG 100 pound fee is reduced for all students to 50 pounds, and will be waived for students without financial support. There will be an additional cost of 26 pounds for all those intending to participate in the confrence dinner at Sous le Nez. The meeting will be held in the MALL1, Level 8, at the School of Mathematics, marked on this map. Please see the School of Mathematics contact details page for more information.